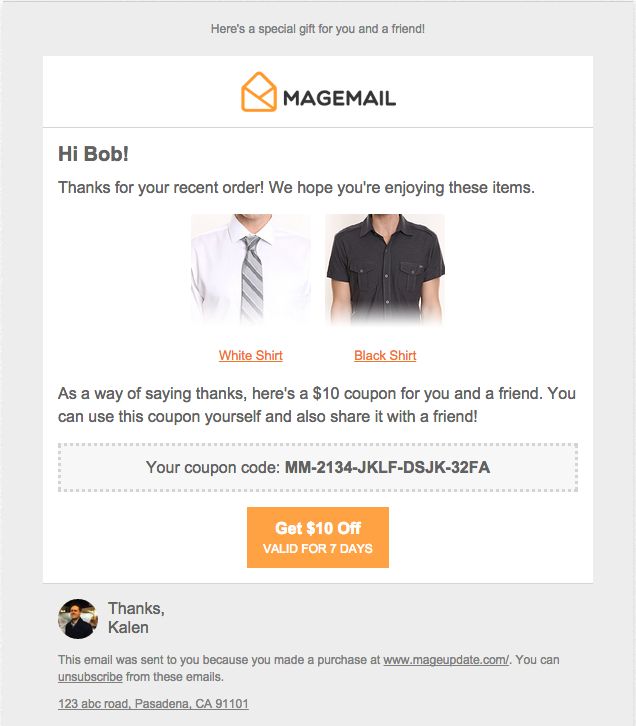 This email is a very simple way to encourage your customers to refer friends to your site. The customer is given a double-use coupon, which is a coupon that can be used by themselves and also used by a friend. One of the things that's nice about the mechanics of this offer is that the customer isn't actually incentivized to share with their friends. Sometimes, people actually feel awkward about sharing a referral with a friend because they don't want their friend to think that they're referring them to it just to make a few bucks themselves. Because the referral is not incentivized, and because the customer can only share with one friend, it makes the referral more interesting and genuine.